Mt. Yudono does not have regular public transportation routes leading to it. The overwhelmingly preferred method of visiting here is via personal or rental car. This site is over one hour away from Tsuruoka Station and high up in the mountains. 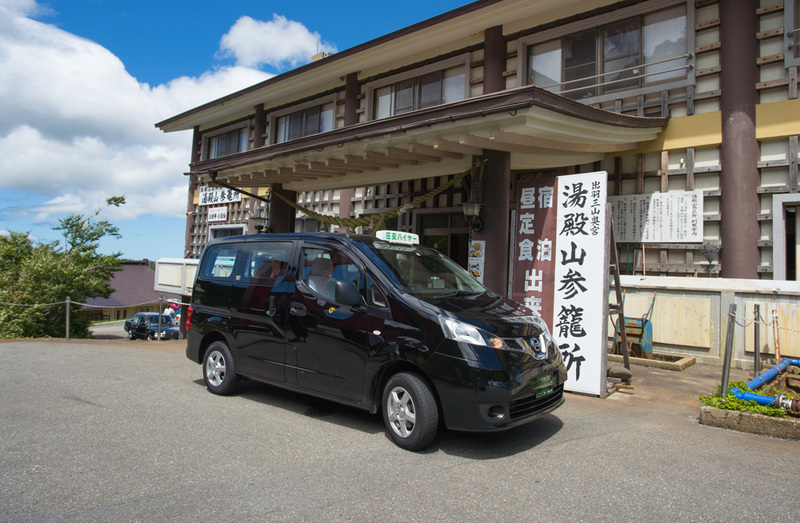 However there is a special taxi service that operates for a very special rate from Tsuruoka Station. The prices for this service are as follows, please note that reservations MUST be made in advance to arrange this taxi service. See below for the link to the website where you can enter your reservation request. Note that this taxi service can only run if there are at least two people utilizing the service. Please be sure to inquire below if you are a solo traveler. Note that there are a very limited number of buses operating along this route. Please check the information carefully and schedule your day with a buffer period to cushion you from any unexpected delays in your itinerary.